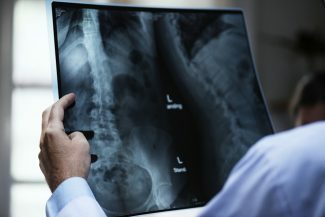 According to the laws in most states, patient X-rays are supposed to be kept on file for seven years after the last date of treatment—the same requirement as for patient records. In general, healthcare providers are aware that minor patient X-rays need to be retained until the patient reaches age 25. X-ray disposal is crucial to maintaining a patient’s privacy – especially their health information. However, because of patient privacy laws and EPA regulations, you can’t just throw X-rays in the trash. X-ray films must be destroyed in order to protect a patient’s health information. There have been several recent amendments to the Health Insurance Portability and Accountability Act (HIPAA) under the Health Information Technology for Economic and Clinical Health (HITECH) Act. These changes mandate that there be a more secure disposal of protected health information (PHI). The regulations behind HITECH state that all PHI, including all X-ray films, be securely destroyed before being disposed of. HIPAA states that the responsibility of X-ray disposal falls into the hands of the physicians or health care facilities. Physicians or health care facilities can choose to have X-ray disposal either on-site or off-site, but it must be executed in a manner which protects the patient’s confidential information. Other state-level rules and regulations may vary across the country and penalties for non-compliance can be harsh. It’s been noted that in some states, they mandate that there should be a notification and response from patients before the destruction of their X-rays. Before you begin moving towards destruction, it is extremely important to understand and adhere to your state’s regulations regarding X-ray disposal. There are several methods of X-ray disposal. They include shredding, burning, or pulverizing them so they become unreadable and can’t be reconstructed. Small office shredders are certainly not fit for destroying X-rays and the films have hazardous material that cannot be legally disposed of in landfills. There’s another reason X-rays should be properly destroyed. Dental, medical and veterinary X-ray films can cause harm to the environment if they are not disposed of in the right way. These films or remnants of them should not be disposed of into the waste stream as they contain silver, which is a heavy metal that can contaminate the environment. The most secure way to destroy X-rays is to hire a professional services, like our commercial shredding services. Utilizing this type service is the most efficient and cost-effective way to destroy X-rays and other important health documents or records. 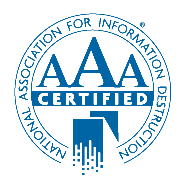 These services can be customized to meet your destruction needs, but should also include a HIPAA Business Associate agreement and an immediate certificate of destruction. IntelliShred is a leading professional shredding company that maintains HIPAA & HITECH compliance. We will ensure that your patient’s healthcare information is fully-protected by destroying and disposing of your X-rays. 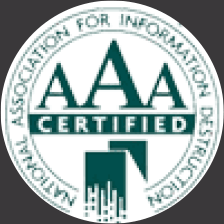 Upon completion, we will give you an official “Certificate of Destruction” for your records. Our fleet of high-tech, mobile shredding trucks will shred your confidential X-rays right at your location. We provide X-ray disposal services to medical offices and medical providers in the tri-state area.